8-Week Online Program — FRDM Athletics - Get mobile, get stronger. 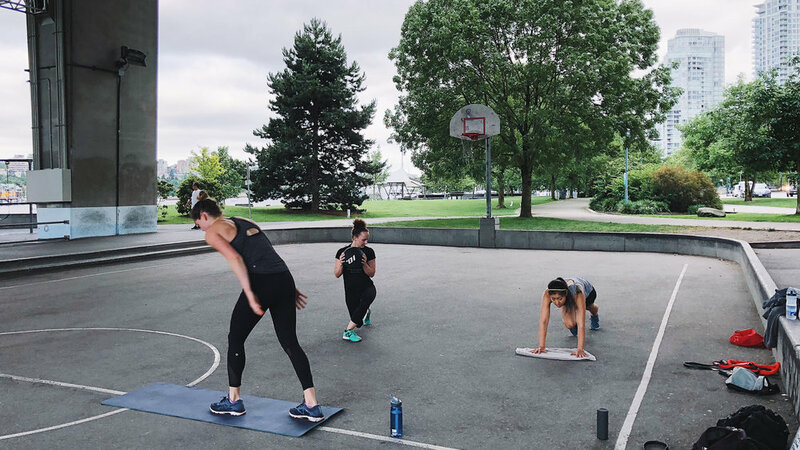 This program is designed to help you jumpstart your fitness, provide you with effective and challenging workouts that require minimal equipment and help make sure you stay accountable. A pilot program will begin Monday Feb 18, 2019 and will end Sunday April 14, 2019. Please read the details below for more information. What do I get out of joining? A positive attitude and completion of every workout, and documenting it in some way. Get someone to film you or send me a photo of your workout location, etc. I trust you to be honest! Commitment to sending Kim one feedback message or email per week. E.g. "Workout #2 this week short and I still had energy so I added a 15-minute run afterwards." Or "I've already completed all 3 workouts for the week and I'm feeling strong. Can you recommend something else for me to do this weekend?" A $40 CAD contribution that will be refunded if you complete the program (can pay via PayPal or E-Transfer). Failure to complete the program will result in payment to FRDM Athletics for the program. I’m interested. What do I need to start? Please email Kim your baseline measurements, goals, and your $40 CAD via Paypal (k.sakura.roberts@gmail.com) for your deposit. Once received, you will receive a code to access the online workouts on Sunday, Feb 16th 2019. Workouts will be posted every Sunday for the week. You can email Kim your updates/feedback any day of the week, each week. In order to join this program, details and payment must be received by Feb 15, 2019.